Word Clouds – they’re not just a cool graphic anymore! Have you thought about how much information they can give you? Using the handy Wordle word generator site, I tried creating a few of my own to see what I could learn. The first one is a graphical expression of my LinkedIn profile, which fortunately shows “Marketing” as the most prominent word. I was also pleased to see that “Sales” was about the same size in the cloud – hopefully an indication of how well we’ve integrated Sales & Marketing at Panasonic Electric Works. Idea#1. Look at your LinkedIn profile cloud, and decide if you are projecting the correct professional image. Idea #2. What about News of the Day or Industry trends? 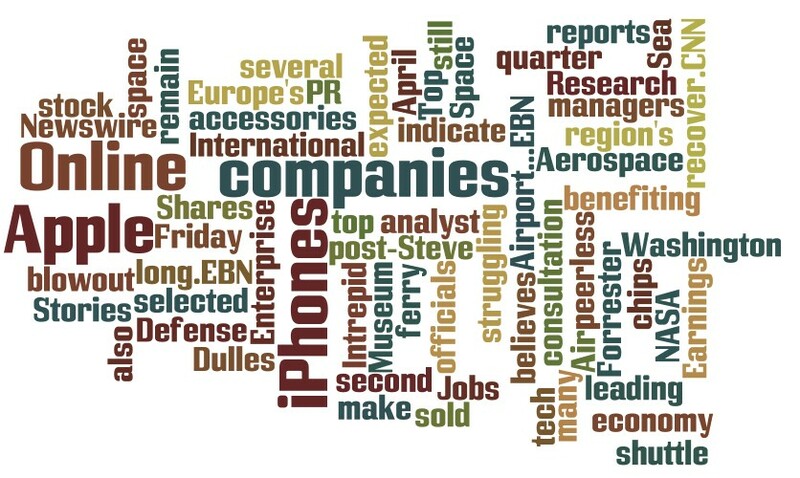 If a website has an RSS feed, Wordle can create a cloud. Pick your favorite news outlet or industry website – I’ve used CNN.com and WoodstockWire as examples – then use the cloud to determine what’s hot. And then, of course, there’s your company or personal website. Idea #3. Does the information that you’re publishing match with your targets? Are you talking about your focus products, key markets, or major issues in your industry? Or are you just publishing a list of buzzwords? 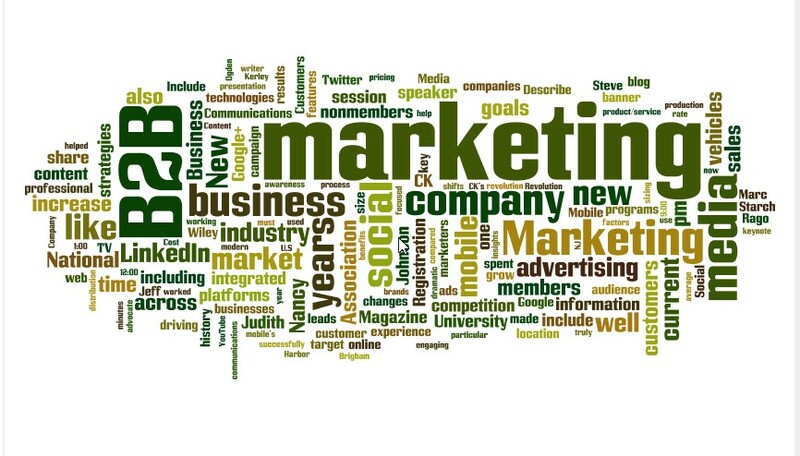 A Word Cloud of your home page, product page, or newsfeed will give you the answer. 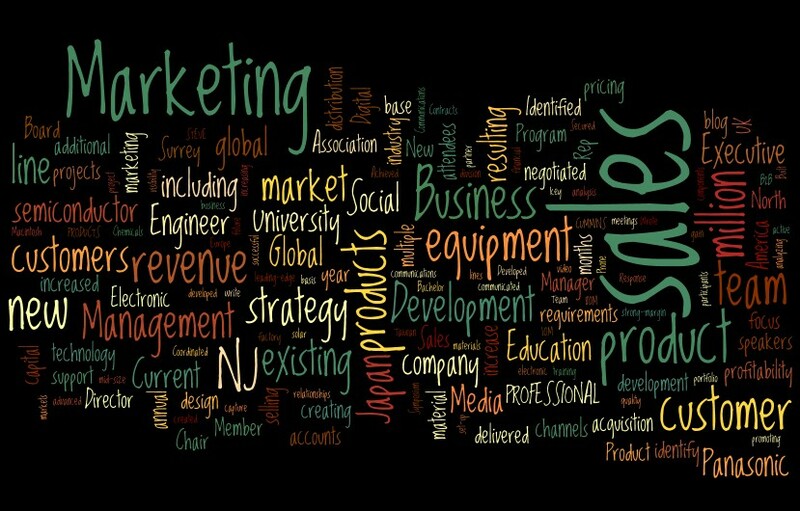 For this one, I used BMA-NJ.org , the Business Marketing Association of New Jersey, which I’m actively involved with. It seems that we talk a lot about B2B Marketing (our target audience), and reference terms such as “mobile”, “social” and “Integrated platforms (hot topics in the profession). So at first glance, I’d say we’re doing OK. So, there it is. A quick ,easy and FREE research tool. Take a few minutes today to create a Word Cloud, and let me know what it tells you. I still am very intrigued with what shape makes it more noticeable – the long narrow whispy cloud I don’t think is a strong marketing cloud ….Maybe Thunderstom cloud head is very striking. It’s all in how you like the weather of the day … can’t blame mother nature . Hey here in New England just wait.. the weather will change and so goes the shape of the cloud. Thanks for reading, Joe. Very philosophical! Try changing the shape and colors of the word clouds – just like real clouds, you see something different every time you look at them!